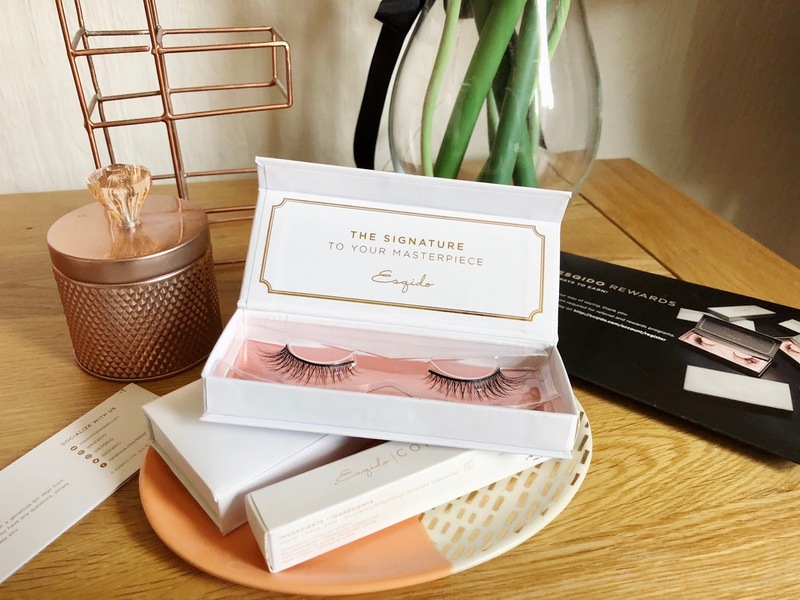 One of my favourite things to do is get all dressed and put on a full face on make-up on, so when Esqido contacted me to review some of their eyelashes I was soo excited. They kindly sent me two sets of eyelashes and an eyelash glue. First of all the website is just fab, what I love is that it has a Lash Guide which takes you step by step on which set of lashes would fit your face. It's so interesting as I generally thought any lash fits all, it asks you things like eye shape and size of the face. This is to help get the perfect lash. Secondly, I am super impressed by the quality and feel of the packaging, it makes it very classy and gives it an elegant look. The rose gold is gorgeous, I am a sucker for rose gold so this is just a winner. The eyelashes themselves are gorgeous, I wanted more a subtle look so I was sent EL211 Radiance and EL201 Oh So Sweet. They were super easy to apply and were a perfect fit for my eyes. I have very small and light eyelashes so they gave me a natural, fluffy lash. They didn't have the normal heavy feel of what false lashes normally do, I generally didn't feel like I was wearing any. They lasted all night, without any annoying lifts at the side, the lash glue held them in place perfectly. It has a small brush, which made it really easy to apply. What I loved about the glue was the packaging, like the lash packaging itself, it has the gorgeous rose gold colour. This made it soo easy to throw in my bag and not have to worry about someone seeing some horrible glue tube. Overall, I loved these lashes. They were so easy to take off and I am sure can use them again. They would be so worth the money. Thank you Esqido for the lashes! !